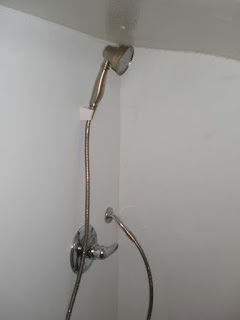 Today I finished up the plumbing in the shower and kitchen. 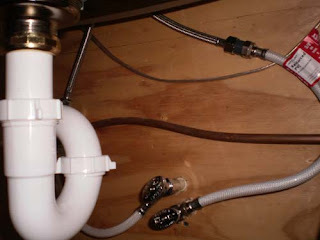 I also installed the on/off valve for the toilet. This is how it turned out under the kitchen sink. The RV-500 instant hot water heater really seems to do a great job. 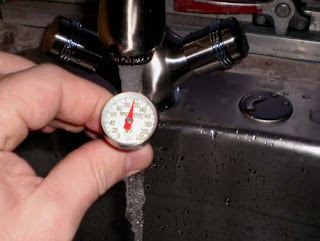 The water got upto about 120 degrees out of the faucet. The shower also works well and looks good too!